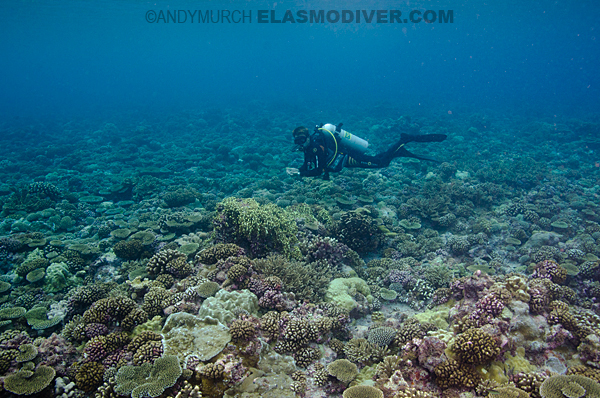 First published in Diver Magazine Volume 37, Number 7. If you ask me, the term ‘paradise’ gets bandied around far more casually than it should. Test driving a new Ferrari or eating a particularly tasty bowl of ice cream, does not actually transport you to paradise, but Air Tahiti does. 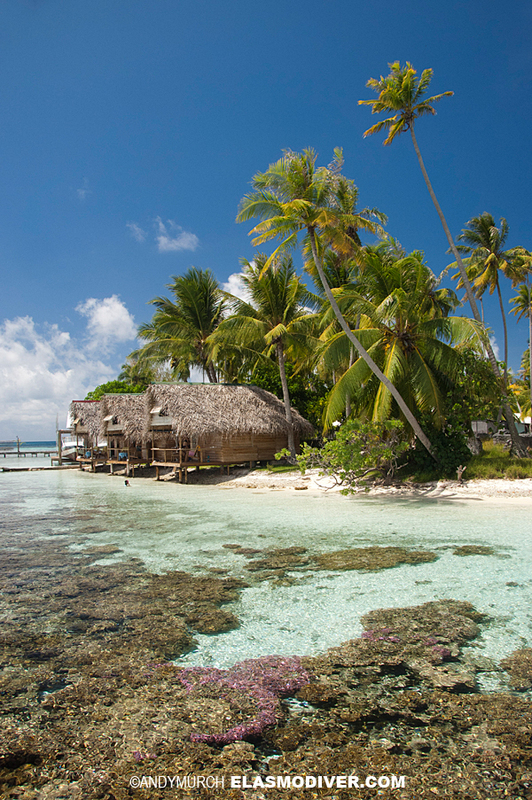 If you don’t follow my drift, fly to any of the 118 islands and atolls in French Polynesia and you’ll soon catch on. 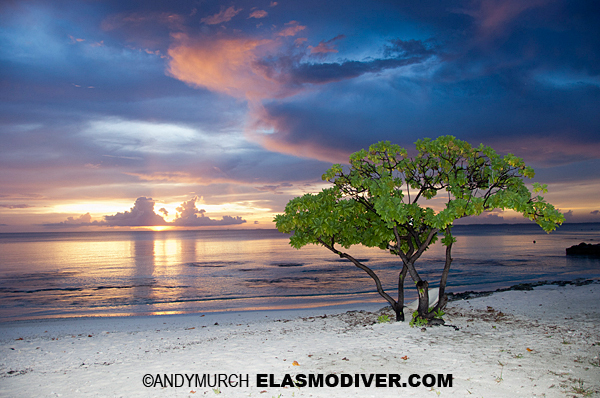 FP is made up of five distinct archipelagos separated by distance, geology and culture. Unless you’re arriving by yacht (the most stylish way to explore paradise) you’ll probably make landfall in Papeete; the capital of Tahiti and the centre of commerce in French Polynesia. Don’t be fooled by the political label; Tahiti is a beautiful mountainous island with cloud capped volcanic peaks and vibrant coral reefs. 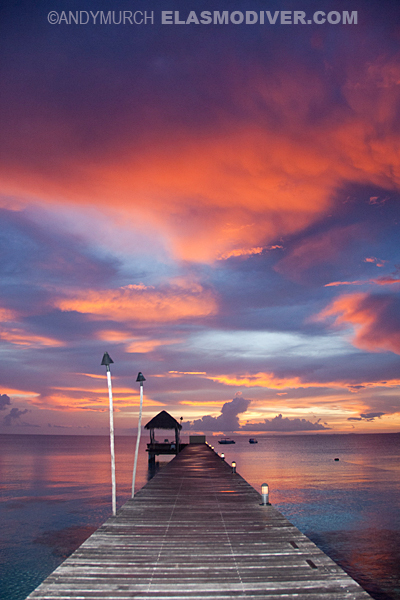 However, if you really want to appreciate paradise, it’s only a one hour puddle-jump from Tahiti to Fakarava. The second largest Polynesian atoll after Rangiroa, Fakarava is the ancient capital of the Tuamotu Archipelago. All of the 76 atolls in the group are breathtakingly beautiful above and below the waves but the coral reefs around Fakarava are so pristine that in 2006 the entire island was designated as a UNESCO Marine Biosphere Reserve. Corals aside, there is one very special ingredient that makes this 1121km2 atoll extremely special to divers; in Fakarava it rains sharks. Atolls are basically inside-out islands. Unlike your picture postcard island getaway, atolls have the sea in the middle, then quite often a beach facing inwards, then a wispy ring of land studded with palm trees and finally a steep coral slope that quickly plummets into the deep blue sea. Atolls are formed by long extinct volcanoes. After the cone has eroded away, the coral protects the remaining ring of volcanic rock from further destruction. Ocean swells eventually cut channels or passes on the leaward and windward sides of the atoll allowing the inner sea to rise and fall with the tides. For much of the day, a torrent of water flows at breakneck speed through the passes bringing nutrients and marine life in abundance. Not surprisingly, the passes are where the sharks live. The Garue Pass at the north end of Fakarava is so wide that you can barely see both sides as you back roll off of the dive boat. Fortunately pass dives are scheduled on the incoming tide so that no matter how strong the drift may be, you always end up somewhere shallow and protected by the time you’re bobbing around on your safety stop. 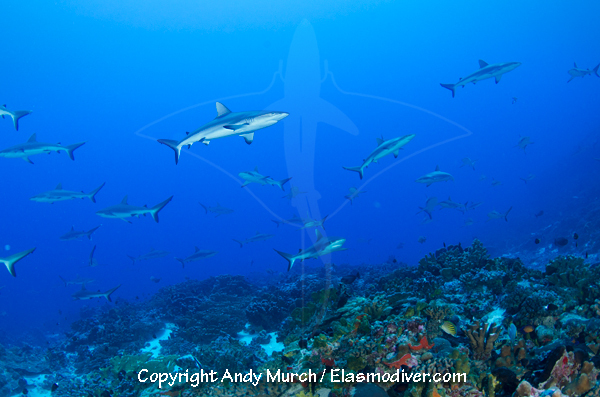 Everywhere you look on the outer slopes of the pass, clouds of grey reef sharks magically hover, facing into the wind, slowly flicking their tales from side to side to remain stationary. The sheer number of sharks may seem a little intimidating at first but they are quite indifferent to divers drifting past them. 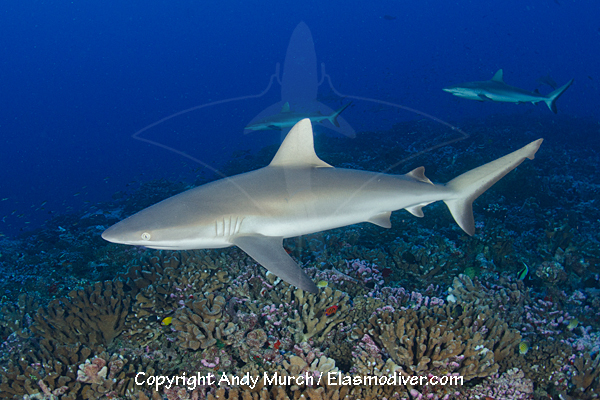 Where the current abates in the inner lagoon, the greys give way to a light scattering of whitetip reef sharks, swimming around in ones and twos in search of an easy meal. 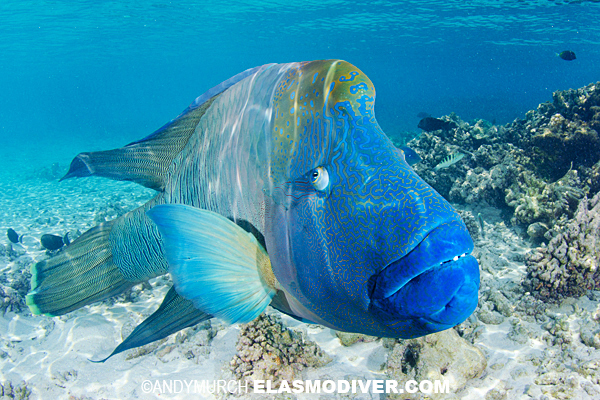 Speaking of food, groupers are surprisingly abundant (considering how tasty they must look to the sharks) and brightly colored wrasses and parrotfish graze nonchalantly on the corals. You would think that being neon green or orange would be like wearing an ‘eat me’ sign but as long as they stay healthy the fish manage to live in a nervous status quo with the men in the grey suits. Afternoon dives at Passe Garue take place on an enormous coral plateau unassumingly called the Coral Garden but the Coral Rain Forest would be a more fitting name. It takes a long time for a reef composed entirely of hard corals to reach this magnitude but it only takes a few years to destroy it with overfishing and reckless diving practices. The fact that during a 60 minute dive you’re unlikely to see a single broken coral head or any signs of snagged fishing line or nets, is a testament to the respect that the Polynesian people have for their fragile atolls. Top Dive is the leading operator in French Polynesia with dive stores on seven of the most diver friendly islands. Environmental protection is high on Top Dive’s agenda, which is why they work hard to install moorings everywhere they dive and to remove anything that could potentially harm the reef. Fish fanciers beware, the line up in FP is less varied than it would be closer to mainland Asia but like everything else in Fakarava, what does live here is doing just fine. From pretentiously showy butterflyfish to couch sized Napoleon wrasse, the biomass of marine life is more than enough to support the needs of the omnipresent shark population. If a dive at the Coral Garden leaves you pining for even more colorful encounters, the patch reef in front of the exquisitely appointed White Sand Beach Resort (the only luxury hotel on the island) is a great way to log a little more reef time until the sun performs its nightly pyrotechnic display and sinks into the middle of the lagoon. If you’re lucky, you may bump into the odd Tahitian stingray or one of the resident tawny nurse sharks that swim by the hotel jetty each night hunting for scraps. That pretty much sums up Fakarava: hundreds of sharks, pristine reefs, more fish than you can shake a coconut at, white sandy beaches lapped by toasty aquamarine water and killer sunsets whether you surface in time to appreciate them or not. However, if that’s just not enough to keep you entertained, you can always upgrade to ‘Paradise Plus’. The Tumakohua Pass is just 1.5 hours south by dive boat and if it rains sharks in the north pass, the south pass suffers from a permanent shark monsoon. Although there are probably just as many sharks in Garue Pass, in Tumakohua they are crammed into a much narrower channel. From the moment you submerge the congestion is obvious. 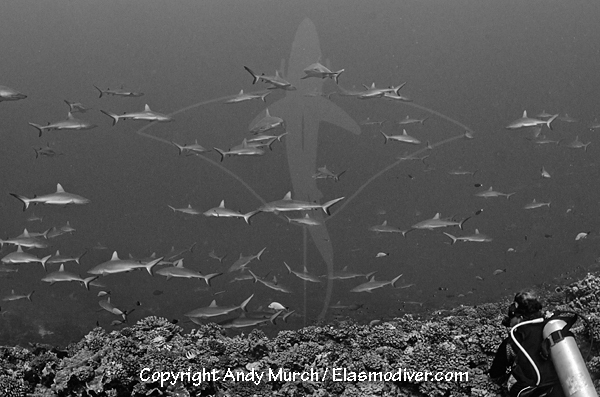 Hundreds of greys hang almost motionless in the current, filling the entire void between the reef and the surface. Dozens of silvertips (easily identifiable by the brilliant white margins on the trailing edges of their fins) weave in and out among the greys. 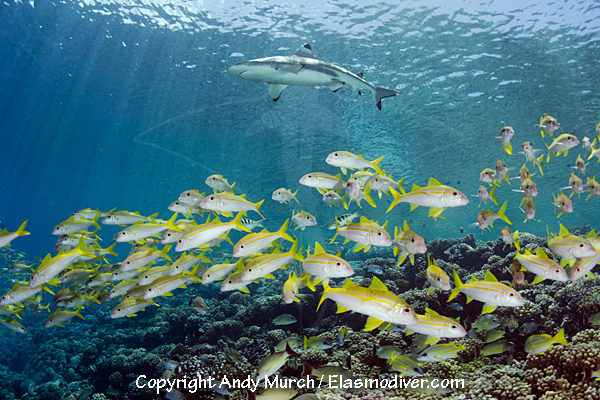 Small groups of whitetips lounge on exposed stretches of reef where the current can wash oxygen rich water through their gills, and a handful of large blacktip sharks warily keep to themselves on the far side of the pass. The sharks swim slowly through the pass until they get to a point where the current starts to abate and then they peel off and quickly rejoin the back of the queue. It may seem like a pointless exercise but if you have to keep swimming to breath, you may as well do it in a place with lots of food. Further along the valley there are easily as many sharks again and if the viz is good you’ll probably be able to see even more groups in the distance. It may sound like an exaggeration in our shark-free brave new world, but its not unheard of to see 500 sharks in a 20-minute drift through the Tumokohua Pass . Decompressing along more phenomenal coral slopes will eventually bring you to a spot called the swimming pool; a protected area where tiny Indo-Pacific blacktip reef sharks chase reef fishes and wait for scraps to fall from moored fishing boats. Accustomed to receiving occasional tidbits, the blacktips have developed a Pavlovian response when they hear anything hitting the water. You can usually attract a handful of tiny blacktips just by slapping the surface with your open hand but watch out for the enormous napoleon wrasses that are a little over curious about what you might be holding. If you don’t want to hang out in the ‘village’ which is little more than a few thatched cabins, Top Dive will take you over to one of a hundred deserted palm fringed islands. After a delicious spread of delicately spiced dishes and exotic fruits (ah, the French) you’ll have the opportunity to explore tranquil pink sand beaches where the only foot prints will be your own. After a day or two at Tumokohua Pass you may be tempted to throw away your return ticket, but there are other islands worthy of the term ‘paradise’ and if you purchase an Air Tahiti flight pass that lets you hop between the islands and atolls as you please, you’ll begin to realize that most of them are in French Polynesia.